President Coolidge poses for the cameramen with his father, Henry Ford and Thomas Edison with the sap bucket beside the porch of the Homestead at Plymouth, August 19, 1924. Photo credit: Wayside Inn Archives. When the “Vagabonds” (Henry Ford, Thomas Edison, and both Harvey and Russell Firestone) descended upon President Coolidge’s Homestead on this day (August 19) in 1924, a virtual town arrived with them: the support staff and 50-Ford auto caravan that took care of Ford and his crew while they “camped” up and down the Eastern seaboard. 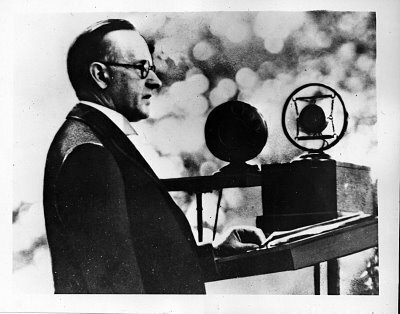 Only at Plymouth for barely an hour, Ford and company did not stay long but Coolidge was ready for them. Over the previous five years Ford had become the leading collector in the country of Americana: the “relics” (as he called them) or memorabilia of regular folks drawn from everyday objects of the past. Ford loved history but not as it was too often taught in the schools – the emphasis on emperors, kings, and generals. Rather, to Ford, it was the anonymous men and women who labored in fields, mines, mills, and factories who carried history forward. This quest started for Ford when he learned in 1919 that his birthplace stood in the path of highway expansion. He relocated the home and began gathering a collection of furnishings that would form the nucleus of thousands of items by that summer of 1924. Henry Ford standing with a couple of his assistants (Frank Campbell and Charles Newton) as they receive items for the growing collection at Dearborn (1928). Photo credit: Ford Museum of American Innovation. Not stopping with his birthplace, he restored the one-room schoolhouse he attended, the Scotch Settlement School, then Longfellow’s old Wayside Inn at Sudbury (Massachusetts) in 1923, and the Botsford Inn at Farmington (Michigan). By that summer of 1924, he was amassing a warehouse-sized collection at Dearborn and the President would contribute generously to its inventory: donating his cradle, first baby carriage, various kitchen items, and things from around the Homestead, including most famously, the 125-year-old wooden sap bucket used by his great great grandfather and Revolutionary War soldier, John Coolidge (1756-1822). 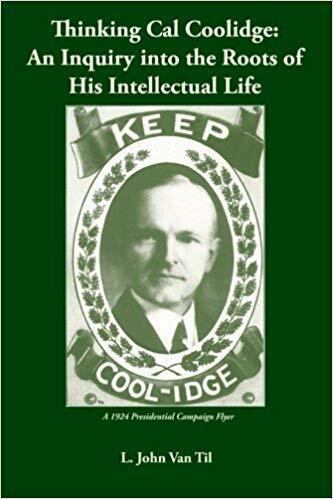 “In company with Mr. Edison I visited Mr. Coolidge one summer day at his Vermont farm. I had always heard he was a taciturn man, but found him a man of most friendly conversation, free in the expression of his own opinions and interested in hearing the opinions of others. It was not long after our introduction that he had us out in the little cheese factory behind the farmhouse, where we were eating the cheese curd which we got by using whittled pieces of shingles as spoons. It was good American cheese. “After we returned to the house Mr. Coolidge spoke about an old sap bucket which his grandfather had used, and offered it to me for our collection at Dearborn. Of course I was very happy to have such a gift and asked him to autograph the bucket. ‘Why, yes,’ he said, ‘we’ll all autograph it.’ So Mrs. Coolidge and Mr. Coolidge’s father and the President and Mr. Edison and the rest of the party autographed the sap bucket. The Prince of Wales (center) on his October visit to Detroit with Henry (right) and son Edsel Ford (left). Photo credit: The Detroit News. That royal visit occurred on October 14th coming after the Prince had already passed through Washington and met the Coolidge family for a quiet lunch at the White House on August 30th. They had just lost their youngest son the previous month. The Prince would return to America more than once and later meet his future wife there, American Wallis Simpson. Page from the April 8, 1935 entry of the Wayside Inn Diary maintained through the years under Ford’s ownership. The sap bucket, displayed all these years in the barroom of the Wayside Inn, is now on exhibit in partnership between the Inn and the Sudbury Historical Society in Massachusetts. The President’s inscription and all the autographs can still be clearly seen. If you are in the Sudbury area, be sure to check it out. It is a fitting piece of Americana from an era before sheet metal and industrialization. It also bears observing that this great artifact from the founding generation comes from a family of quiet and unassuming public servants. As Ford would say, Coolidge “was one of the most American men I have ever known.” It is a legacy we honor when we emulate their example.